If you haven’t heard of the MedAngel One sensor, then that’s about to change! I know what you are thinking....not another sensor! But trust me, this one you will be interested in! 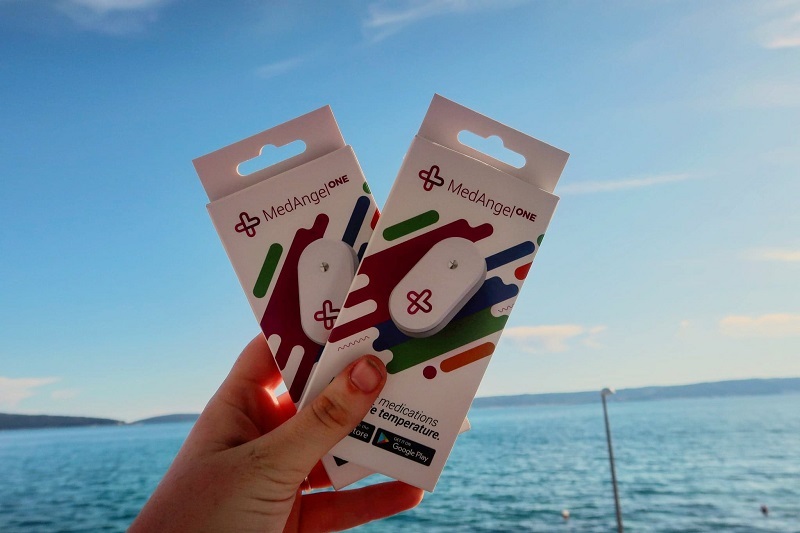 The guys over at MedAngel were kind enough to send me their sensors so I could test them whilst on my travels in Croatia. I had never heard of the product before, but I am SO glad I have discovered it...and you should too! 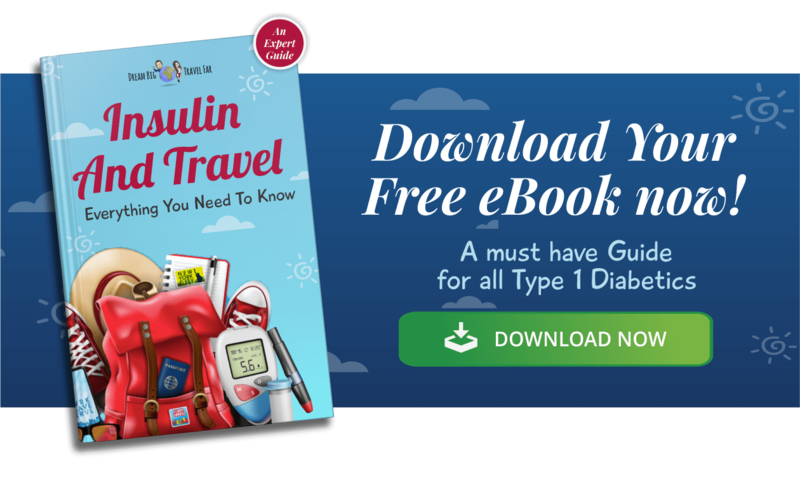 Check out my guide below on what the sensor is, how it works, and why it’s great for travelling with type 1 diabetes. What is the MedAngel One sensor? 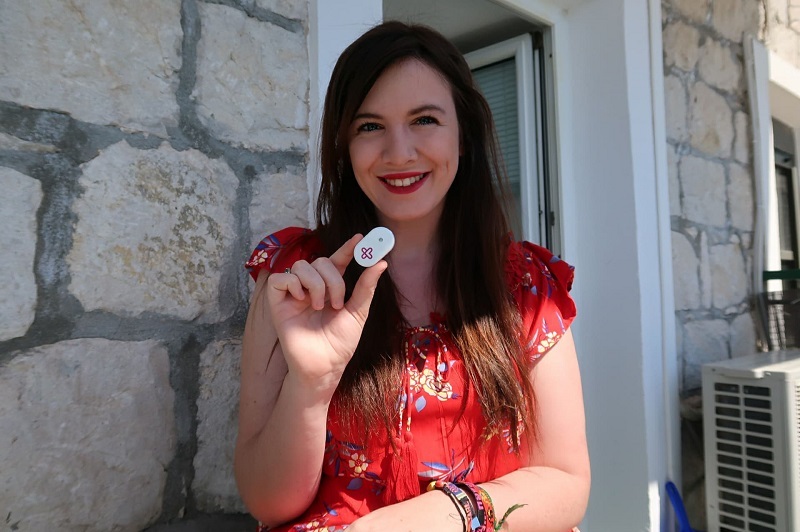 The MedAngel One sensor is a small sensor that you put with your insulin to measure the temperature. We all know that for insulin to work and survive it needs to be at a temperature of 36°F and 46°F (2-7 Celsius) for unused insulin, and between 56°F and 80°F (13-16 C) for insulin you are currently using. And this device will help ensure that your insulin will stay within that range. How does the MedAngel One sensor work? It’s a simple set-up, you pop a battery in and download an app. The way the sensor works is it connects to an app on your phone and alerts you to the temperature. It will tell you if everything is okay and your insulin is safe, and it will alarm you if your insulin is too hot, or too cold. This is great as you simply get a notification via your mobile phone and you can fix the problem right away. In order for the application to work you need your Bluetooth and location on. 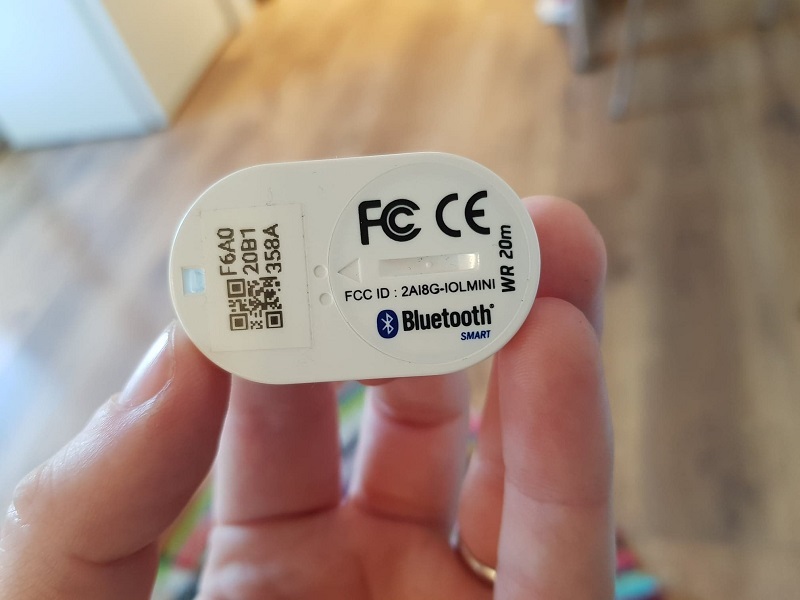 You simply connect your phone to the sensor via Bluetooth. So you scan for new sensors and then connect to the name of your sensor. The number on the back is what you are looking for! Next, you select your type of insulin and medication. So if you have other medications, it will work for them too! All insulin's and Epipens, as well as a wide range of hormones and other injectables, are supported by this device. Then, choose between long term storage or short term carrying mode to get the right safe range temperatures for your use. The brilliant thing about this device is that it can be used alongside your Frio bags. Just pop it in your Frio bag and it can make sure that your Frio bag is actually still working, or working as it should be! How great is that!? How long does the MedAngel One sensor last? The sensor lasts up to nine months, but it has a replaceable battery. So it’s a fantastic and inexpensive investment for what you get. You can test the temperatures of hostel and hotel fridges to make sure your insulin won’t freeze. In Brazil, I put my insulin in a fridge that I didn’t realise was too cold. 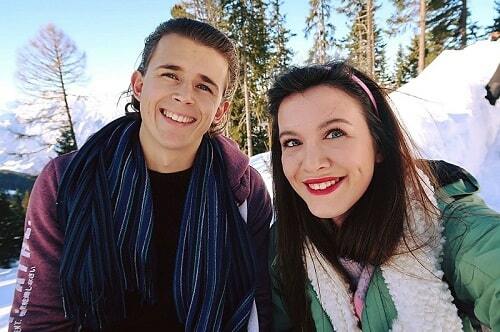 I almost lost insulin because it almost froze. If I had the MedAngel, I could have popped it in the fridge and would have been alarmed that something was wrong. So it’s great for that! You can test whether your insulin cooling cases such as Frio are still working as they should be, especially if you’ve had them for a long time. You can keep your insulin safe at beaches day and focus on drinking cocktails and have fun! 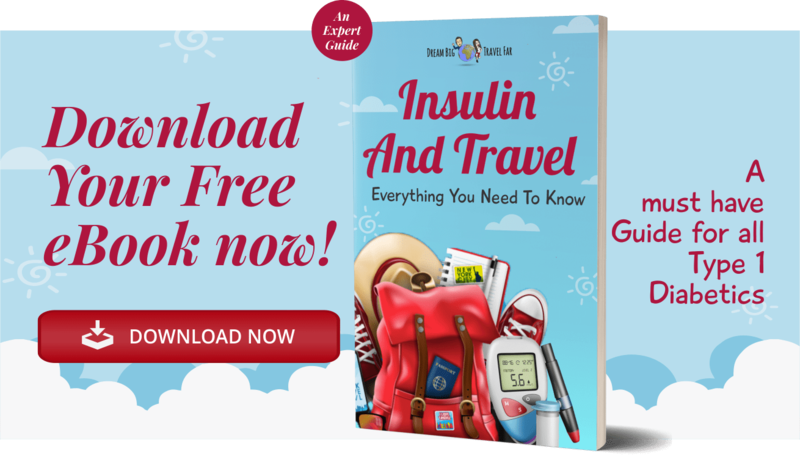 You have less stress and worry about your insulin dying and not lasting you a full trip. All around the world. 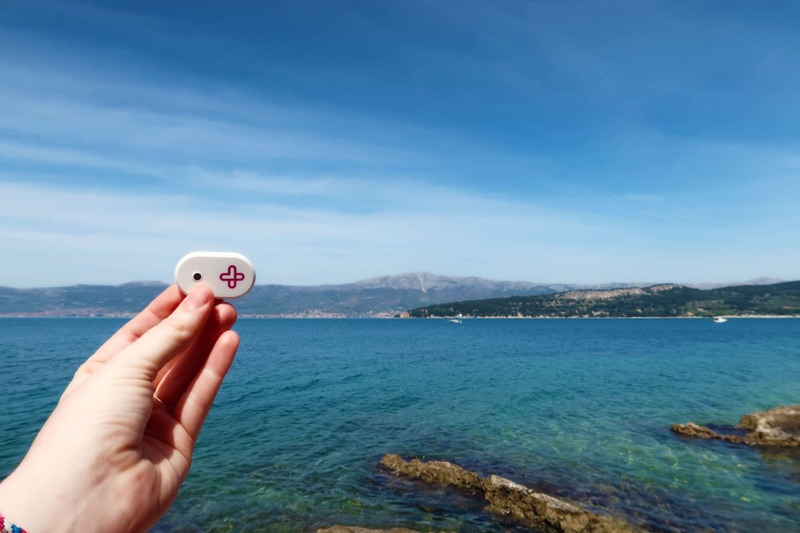 Whether you find yourself in the hot climates of Thailand, Brazil, Indonesia, Cambodia, Croatia etc, then you are going to find the sensor super useful on days out. 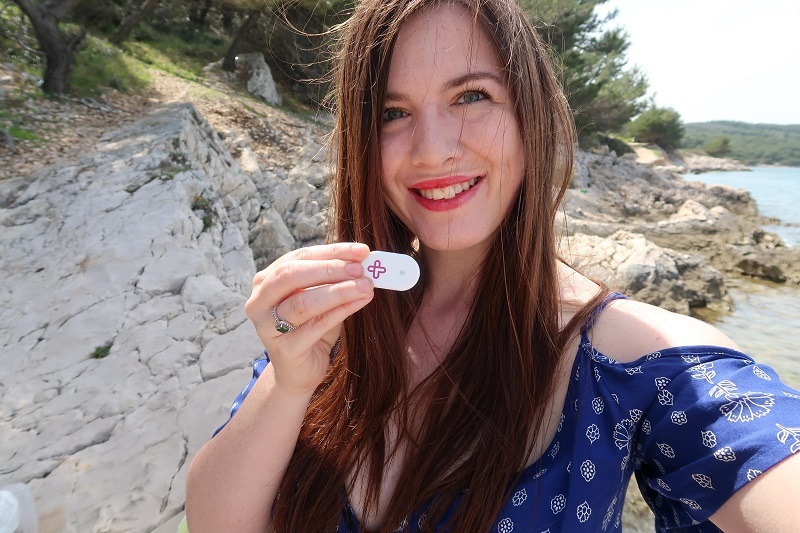 I’ve used it on beach days in Croatia and it was great to have peace of mind knowing that my Frio bag was working well at keeping my insulin cool. It’s the same for cold destinations. I would have found this device SUPER useful if I had it when I was skiing in Austria. The temperatures were so cold that my monitors weren’t working, and my blood sugars were not staying low, so I think my insulin was struggling, if not dead. Having a MedAngel would have been super useful to track the temperature and prevent the issues I had. So when I find myself in cold destinations in the future (Such as trekking to Basecamp in Mount Everest), then having the MedAngel One sensor will be really useful. I also think it’s perfect for when you are hiking, as your insulin can go through different temperatures the higher you get. I would have benefited from this device when I was trekking Torres Del Paine national park in Chile, and I fully intend on bringing the MedAngel on all my future hikes regardless of distance. I hope you’ve found my guide useful! I honestly think this is a brilliant device and it compliments your insulin travel cases, such as the Frio bag extremely well. So why not save your insulin than risk it dying. You can purchase the product direct on their website: for US readers and the rest of the world.